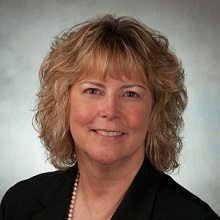 This is shaping up to be a breakthrough year for Atlas, with the July 2017 announcement that Robin Portman would be named CEO and president, coming off a stellar career as an executive vice president at Booz Allen and as director of the Strategic Innovation group at Georgetown University’s School of Nursing. In just six months at Atlas, Portman has implemented a new markets- and services-oriented strategy grounded in digitization and innovation, and set up new disciplines and capabilities to tackle market challenges. The firm is best known for its ground-breaking work in research and evaluation, human capital solutions, health data management and interoperability, and optimizing organizational performance. It’s now on a trajectory to “break out” as a Service Disabled Veteran Owned Small Business to become a full-service provider in the federal health research and advisory space. In September 2017, Atlas was named the 12th fastest-growing company in D.C. by Inc. magazine, and four months later, the firm gained recognition by Inc. 5000 as the 12th fastest-growing veteran-owned firm in America. With game-changing wins in HHS, VA and DOD health markets as well as the National Science Foundation, Atlas is poised to expand and accelerate its reach on mission-critical programs such as Veterans Affairs Department modernization, expanding educational benefits for veterans, and improving long-term support for veterans and caregivers through the Choose Home initiative.